Do I Have to Tell My Baby’s Father About the Adoption? The decision to place a child for adoption is a difficult (and permanent) one. The birth father, if known, should have a choice in the matter, equal to your own. In several states and specific areas, including Maryland and Washington, D.C., the father must be notified of your intention to give the child up for adoption; or, in some areas, like Virginia, must be advised of the existence of the Birth Father Registry. 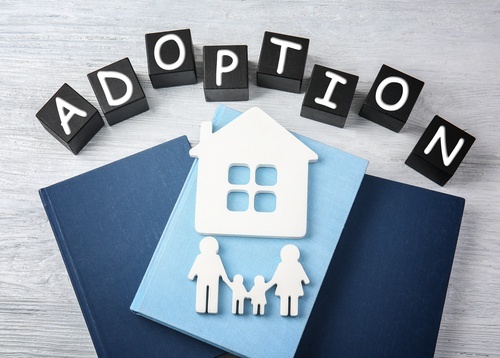 Adoption attorneys are required to make their best possible effort to locate the birth father using accurate information provided by their client (most likely, you). Using sources like social media accounts and background checks, along with internet searches, the attorney will attempt to locate the father. However, if all these efforts are exhausted and the father is still unavailable, you may still be able to pursue adoption. Sometimes, a pregnant woman may have already ended a relationship or lost track of the father before she realizes she is pregnant, or even during the pregnancy. In such instances, finding the birth father may not be possible. In some states, the adoption can proceed without his consent if he cannot be located. If you’re in a state with a “Birth Father Registry,” like Texas, the father must register to retain his rights. If he fails to register, you may be able to place the child for adoption without his consent. In many cases, the birth father must also fail to provide support during the pregnancy, as well as fail to legally establish his paternity of the child, in addition to failing to register, to lose his rights. An experienced adoption attorney will be able to guide you through the steps you must take in this situation. Birth fathers are likely to participate in the adoption process if they are informed, their voice heard and respected, and consent to it, but some oppose adoption because they want to raise the child. Fathers who oppose the adoption typically must demonstrate their desire to assume full legal, financial, and parental responsibility for the child. Failure to do this could result in his parental rights being dismissed and the adoption taking place without his consent. Many states require the father to provide financial support during the pregnancy, or risk losing his ability to contest the adoption. Communication between the birth mother and birth father isn’t required during the pregnancy, but the father must be kept abreast of the proceedings and given an opportunity to be heard by the Court on his desire to parent. Identifying and notifying the child’s father of your choice to place the child for adoption is essential to ensuring that the process goes smoothly. It’s in the best interests of everyone involved, as the adoptive parents will be able to have a more comprehensive picture of their child’s genetic and medical history, no one has been improperly denied a choice in the matter, and the adoption will be legally sound. Keep in mind that fathers who are improperly denied their parental rights can cause disruptions in the adoption process, up to and including putting the adoption at risk, even after it’s been finalized. There’s nothing to gain by excluding the birth father from your plans for the pregnancy, especially regarding adoption. At Jennifer Fairfax, Family Formation Law Offices, Jennifer and Catelyn have encountered many adoption scenarios. With years of experience, they can help you choose the right option for you and your unborn child, with or without the father’s involvement.